A 95-year-old former Auschwitz paramedic indirectly involved in the killing of over 3,500 people is set to face trial. The prosecution claims he was aware of the Nazi death camp’s practices and therefore consciously participated in mass murder. Identified only by his first name and the initial letter of his surname due to German privacy laws, ‘Hubert Z’ was deemed fit to stand trial in December by a court in Rostock. On Monday, a date of February 29 was announced for the hearing. Hubert Z, named as Hubert Zafke by AP, despite the privacy law, is accused of being an accessory to the slaughter of at least 3,681 prisoners in the Nazi extermination camp in Poland during World War II. According to the case, Hubert joined the Nazi SS in 1940 and served as a sergeant at Auschwitz from October 1943 to January 1944, but then carried out duties as a paramedic for a month. From August 15 to September 14, 1944, when Hubert acted as the camp’s paramedic, at least 14 deportation trains arrived at Auschwitz from France, Austria and the Netherlands. Among the prisoners was the teenage diarist Anne Frank, author of arguably the most famous Holocaust-era memoir, and her family - many of whom perished in the camp’s gas chambers. Having avoided death at Auschwitz, Frank died in 1945 at the Bergen Belsen extermination camp in Germany. Hubert Z was previously sentenced to more than three years in prison by a Polish court in 1948. After serving his sentence, he then settled in Germany, where his involvement in Auschwitz was investigated. During hearings in 2014, he initially denied that he had served in Auschwitz at all, but then claimed he did not know about the crimes and only learned about the gas chambers after the war. When the trial begins in February in the north-eastern town of Neubrandenburg, it will start with a session to determine Hubert Z’s state of health and whether or not he will be able to be present at the hearing. Further sessions are planned for March, depending on the conditions in which the proceedings can be held. 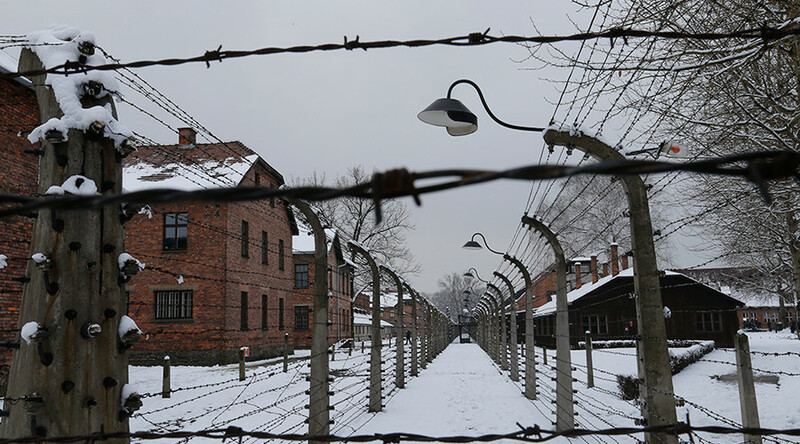 In September 2015, a 91-year-old woman who was reportedly an SS assistant at Auschwitz, where she was working as a radio operator, was accused of being involved in the deaths of at least 260,000 Jews. Her case in now pending trial in the northern city of Kiel, as a final court ruling on whether she is fit for the hearing is expected in early 2016.